Another NAS export from Taiwan is Synology. Founded in January 2000 Synology is best known for its NAS offerings available in desktop (DeskStation) and rackmount (RackStation) models. An interesting bit of history about the founders of the company, they are both Microsoft alumni who left the software giant to develop a new operating system called Filer OS based on BSD – which is to be used with Fastora NAS hardware to create a NAS solution. 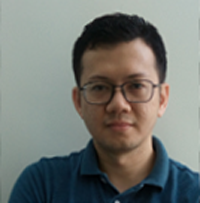 Data&Storage Asean spoke to Victor Wang, ASEAN regional sales manager at Synology on the company’s strategy for the region. DataStorageAsean: With cloud-based storage solutions such as file-sync-share as well as object-based storage growing in popularity, is NAS still relevant? Victor Wang: When you talk about cloud and object-based storage services, you might be referring to public cloud services such as Google Drive, Amazon S3, OpenStack Swift, etc. As public cloud services become widely adopted these days, the demand for private cloud, which provides greater privacy and flexibility, is also growing. This is where NAS devices come into play. As a private cloud storage provider, we do recognize the strengths of public cloud services in terms of internet bandwidth and initial deployment cost. Therefore, instead of trying to replace public cloud, we continue to put much effort in integrating main stream public cloud services to provide a Hybrid Cloud solution – a solution that best utilize both public and private cloud applications. Our hybrid cloud feature, Cloud Sync, provides the most comprehensive public cloud support in the NAS market, allowing users to sync data seamlessly between the NAS appliance and a wide range of public cloud, including Amazon Cloud Drive, Dropbox, Google Drive, Google Cloud Storage, Microsoft One Drive, OpenStack Swift, and many more. DataStorageAsean: What’s the difference between SMB and Enterprise NAS? Victor Wang: All Synology NAS boxes run on DSM (DiskStation Manager), the operating system fully developed by Synology, and therefore all Synology models are able to enjoy the rich features DSM has to provide, except for a few advanced features that require certain hardware specification. SMBs and enterprises could look through our extensive product line for certain hardware specs and storage capacity that match their need, and deploy the required features on DSM accordingly. In general, SMBs tend to adopt our plus series model as all-in-one server due to the reliable performance and the variety of functions it can serve, while enterprises usually consider the xs/xs+ series, serving as pure storage purpose, due to its great scalability that is up to petabyte level, robust backup mechanism, as well as ultra-performance. DataStorageAsean: What use cases are companies using NAS for? DataStorageAsean: What are the key functions companies should look for in a NAS product? Victor Wang: First of all, for companies looking to adopt NAS solutions, the NAS system must be able to fit into their business environment easily as it is essential that the NAS is able to communicate with their existing servers and client devices. With comprehensive protocols and domain support, Synology NAS can seamlessly provide services for different business environment with different purposes, and the whole installation and setup process could feel like a breeze for IT administrators. The user-friendly interface and management features also greatly help reduce the effort of integrating and maintaining the services provided by NAS in the business environment. Secondly, flexibility is another important factor, especially for SMBs considering NAS solutions. In terms of software applications, DSM offers a wide range of applications and services at user’s disposal from file storage and sharing, productivity at work, data protection for businesses, to solutions for virtualized environment. Moreover, Synology also provides great flexibility in scalability - users can simply start with a few hard drives first and expand as the storage demand grows. Some of Synology’s enterprise models even allows upgrading the network to 10GbE. With the great scalability for storage and network, SMBs can spend their budget more effectively without making compromise on product specifications. Last but not the least, reliability and performance are both decisive factors for enterprise users when making a purchase decision. When it comes to reliability, Synology boosts a very low RMA rate, which is less than 1%, and the number even includes the units that are returned without any issues. As for performance, besides SSD Read/Write cache and Link Aggregation support that effectively enhance performance, our fine-tuned operating system could further ensure the smoothness of all the services running on Synology NAS. DataStorageAsean: What is unique about your NAS offering?